The lifestyle team at L.E.R. 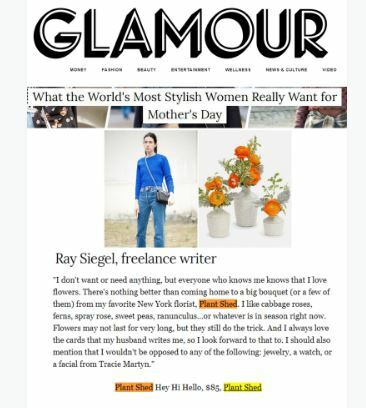 PR is excited to see PlantShed featured on Glamour.com . PlantShed was featured in an editorial called “What the World’s Most Stylish Women Really Want for Mother’s Day”.